Features marble nonstick coating inside, induction bottom, heat resistant handles with soft touch. 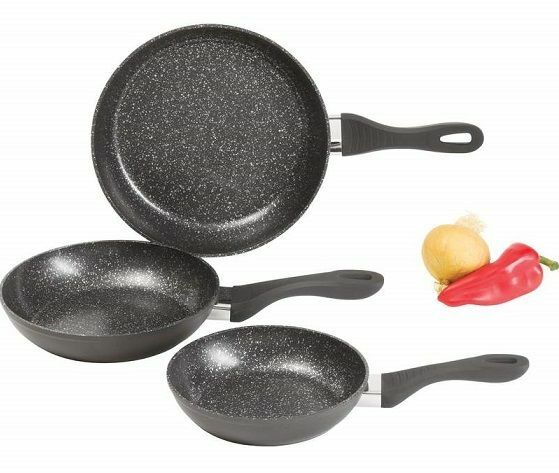 Set includes: 8" x 1-3/4" fry pan, 9" x 2" fry pan, and 11" x 2-1/4" fry pan. Limited lifetime warranty. Brown box.